The Changeling. 1980. Directed by Peter Medak. Screenplay by William Gray & Diana Maddox; story by Russell Hunter. Starring George C. Scott, Trish Van Devere, Melvyn Douglas, Jean Marsh, John Colicos, Barry Morse, Madeleine Sherwood, Helen Burns, Frances Hyland, Ruth Springford, and Eric Christmas. Haunted house horror movies are a dime a dozen. There are great classics such as The Haunting and House on Haunted Hill, as well as newer ones like Insidious. Then we’ve also seen terrible ones, such as the remakes for those first two I mentioned. 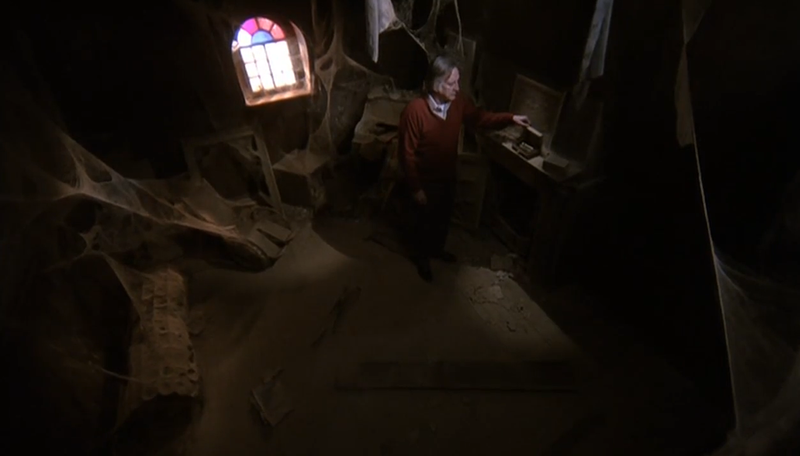 Plus, the haunted house sub-genre can sort of cross over into others where the house itself is something else. 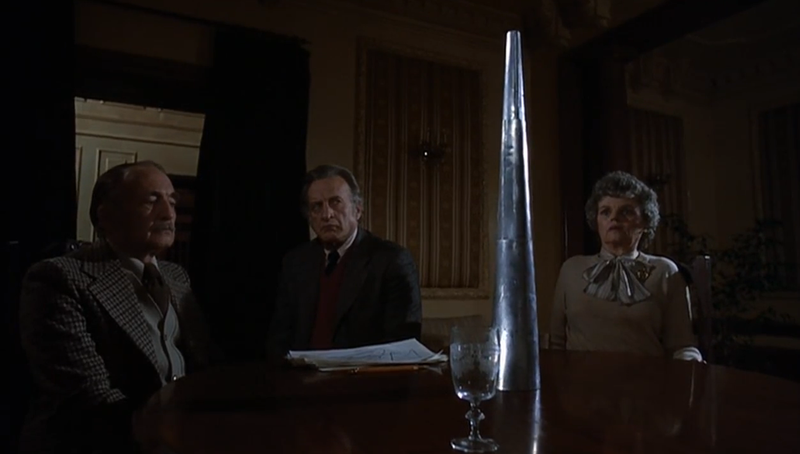 For instance, The Pyramid, while not great and full of awful CGI, is basically a haunted house movie, but instead of a house it’s a pyramid in Egypt. You could even go as far to say The Blair Witch Project is a haunted house found footage film; if you wanted to. So it’s safe to say, the haunted house horror has been played to death. Though, every so often another great one comes up. In 1980, Peter Medak directed this incredible film and put a classic into the sub-genre. A great horror with interesting writing, a creepy atmosphere and equally unsettling setting in the old haunted mansion, as well as the fabulous George C. Scott in the lead role. All of these qualities puts The Changeling confidently in my top horrors of all time; one of the creepiest movies out there and best of all it came before so much of the CGI’d to death horror we seem to have been served up in the last decade or more. After his daughter and wife are killed in a tragic roadside accident, as he helplessly looked on in horror, composer John Russell (George C. Scott) moves out of his old home and into a new rental. It just so happens the mansion has an awful, hidden history, which is why nobody seems to stay once they’ve moved in. However, Russell, still grieving for his lost wife and daughter, feels drawn to the ghosts, as if they’re calling just for him. And soon he might fall in over his head. When John Russell first sees the dead looking face and eyes of a child in the bathtub, that’s when I realized for sure this would be a well-crafted bit of horror. Not only is the image creepy, the way in which George C. Scott reacts to it is phenomenal; his face strained in horror, he backs away into the hall, further and further until the scene cuts. That’s another thing. I love Scott, he’s one of my personal favourites – his two top roles, for me, are Dr. Strangelove and The Hospital. However, John Russell is one of his more subdued performances. Not that he’s an over-actor, I don’t believe that to be true. But Scott has played a lot of hotheaded, rough and tumble types, so to see him as Russell, a heartbroken, emotionally and psychologically ruined man, it’s exciting! He brings a lot of personality to the role, which is always great to have in a haunted house movie. So many classic moments in this movie. For instance, the scene with the ball – man, it gets me every single time! Once more, it’s a case of Scott really putting the screws to the audience in the way he reacts. There are several perfect instances of subtlety out of Scott and when you get that sort of quiet-like performance in a horror film, it always helps to ratchet the suspense through the roof once the terror takes full hold. This is what happens throughout The Changeling. I can’t talk about the atmosphere and tone of the film without making mention of the fabulous score. There’s nothing like a proper horror score paired with good writing. The music here comes to us from composer Rick Wilkins; surprisingly he hasn’t composed a ton of films. His score for this one is just perfect at every turn. Mostly, I couldn’t get enough of the piece during the seance, as Russell watches the medium scribbling away; a dark, ominous bit of music. Then, coupled with that beautiful and eerie music there is the cinematography of John Coquillon – director of photography on Curse of the Crimson Altar, The Oblong Box, Straw Dogs, Pat Garrett & Billy the Kid, Cross of Iron and more. Coquillon’s work here is incredible. There are endless sweeping shots, careening through the old haunted mansion. One early on that I love is when we’re first treated to Russell playing his piano; Coquillon lets the camera sort of wander in through the house, finding its way eventually to John. Beautiful stuff. 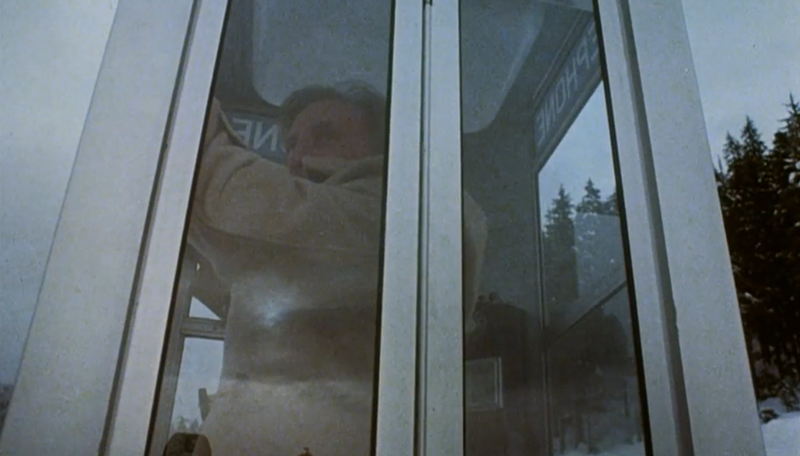 Then certain scenes remind me of Stanley Kubrick with the wide, symmetrical view, shots composed quite carefully, only to close in slowly, slowly. There are plenty of great shots like this, and many more. Note: one of my favourite moments is actually nothing that spectacular, it just looks incredible – during the seance, a glass gets smashed against a cabinet, and the shot is MAGNIFICENT! The camera is close, tight in, and it’s so crystal clear that it feels of magic. 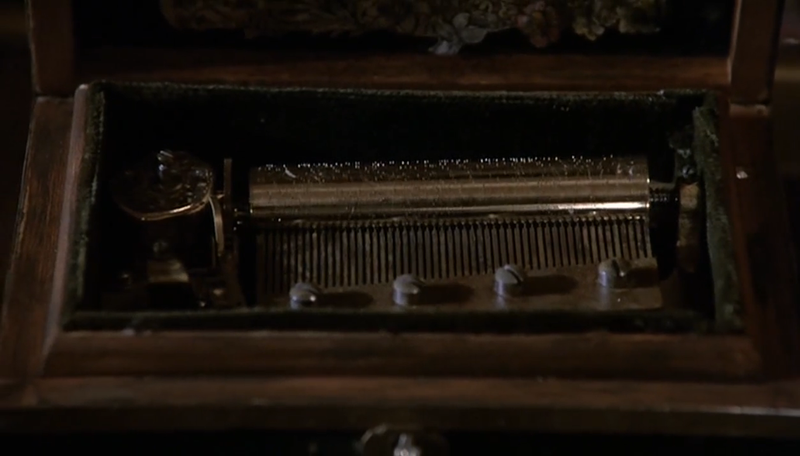 Of course, one of the scariest parts about The Changeling overall is the writing. The story itself comes off incredibly well. What I like is that this is one film which foregoes the need to have a character who is outright and defiantly against the supernatural. Sometimes that type of character works, others not so much. If you push the scepticism too much, especially if the character is obnoxious, then I find that it feels forced, as if we’re being TOO setup, almost tricked into feeling a certain way. That’s just not genuine. With this film, John Russell is not a sceptic, however, he has recently experienced a devastating loss. The house sort of chooses him in a way – it tries to terrorize him, but instead Russell almost accepts the house’s challenge. Well not almost, he does. Instead of someone starkly against the supernatural, Russell accepts it, piece by piece as things fall together in front of him, and then he lets the house’s terrors lead him on a path towards the truth. Moreover, that’s another thing which makes me such a fan of The Changeling is that the house is not merely trying to scare off residents, it’s actually crying out for help. We always hear that ghosts are spirits with unfinished business, so instead of a bunch of ghosts trying to scare and/or kill everybody, here we see the spirits truly trying to reach out, waiting for someone like John Russell to actually listen instead of turning to run in fear. Luckily, Russell is susceptible to the ghosts, as he still longs for some contact with his wife and daughter, whom he lost at the hands of a terrible accident. These aspects play well together, and into one another, which is why I find the writing here pretty solid throughout. The backstory is creepiness defined. A flashback scene with the tub and the little boy is one of the SCARIEST scenes of all-time. If I were to do a list of the scenes which have scared me most over the course of watching the 4,100+ films I’ve seen so far, this would be high on the list. Very terrifying – and not a drop of blood. Mark of a horror masterpiece, if it can achieve such levels of terror while not having to resort to showing blood in order to get the job done. 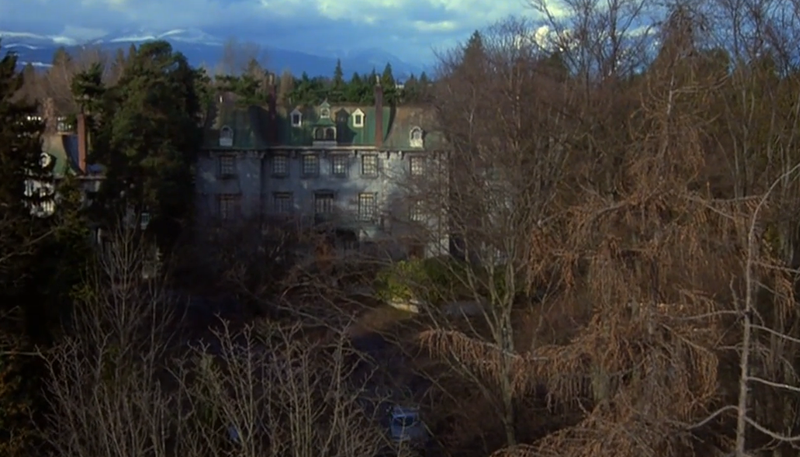 No doubt, The Changeling is a 5-star film and one of the best, at the top, of the haunted house sub-genre in horror. There’s no end to the amount of times I was impressed with George C. Scott in this movie. He’s a favourite of mine, as I mentioned earlier, and I’d rank this in his top 5 performances. What an incredible talent. The finale of the film is excellent. I don’t want to go into any sort of recap that will spoil things. As I said, the backstory is creepy stuff. I love it and then how it all comes to bear on the current events with Russell and the house works wonders. I can’t recommend this film enough. There are chills and thrills, mounds of suspense, and a genuinely crafted atmosphere that makes you wonder what further terror lies behind each corner inside the sprawling, ancient mansion. Catch this whenever you can, as much as you can! They don’t make many like these. Loved your The Changeling review. I couldn’t agree more with your comments and thoughts. It is one of my all-time favourite movies. If you didn’t know already, there is a version of the DVD you can buy which includes a commentary by director Peter Medak, which I would highly recommend. The brilliant music score also got a CD release at one point. Thanks, Rob! Glad you enjoyed. I’ve not yet heard the commentary but I’m going to listen soon. Each time I see The Changeling I forget how effective it is. Incredible film!